Stunning in their elegant simplicity, each Petrified Forest piece is handcrafted in rural Berks County, Pennsylvania. 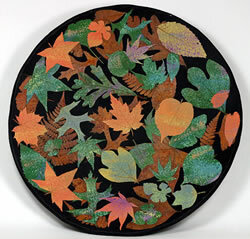 Stephen works with local stoneware clay and selects leaves during quiet walks in the woods. Non-toxic, food-safe, no special care required.